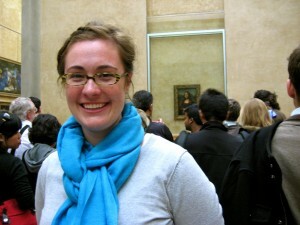 Let’s see… Where did I leave off when summarizing my Spring Break adventures? Oh, yes. I think I was just about to start Vienna. On our first day in Vienna, after arriving by bus from Prague, checking into our fantastic hostel, and walking around a bit, we found this: a carnival! 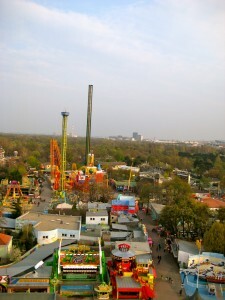 It’s actually called the Prater, and is a permanent amusement park just across the Danube from most of Vienna. We were able to ride on a roller coaster, and on a ferris wheel, where I got a shot of some of the carnival with Vienna in the background. 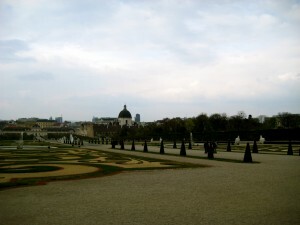 One of my favorite things that we did in Vienna was to visit the Belvedere Palace and Museum. As the name suggests, it is actually a former palace (there are a lot of palaces in Vienna: Hofburg, Schönbrunn, and more) that has been turned into an art museum. It’s neat to look at beautiful art in an equally-beautiful building. My favorite paintings on display were probably by Klimt, Van Gogh, and Monet; most notable was probably Klimt’s “The Kiss”, which is full of amazing colors and texture. On April 12th, we took a train from Vienna to Munich. The train was so enjoyable and perfectly efficient… a great representation of the German/Austrian rail system! This is probably my favorite picture from my time in Munich, and captures two of the city’s most iconic sights. 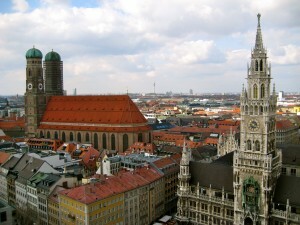 It is taken from Alter Peter Kirche (Old Peter Church), and in the foreground you can see Marienplatz and the New Town Hall (including the famous Glockenspiel). In the background is Frauenkirche (Mary’s Church), which was (sort of) saved by the Nazis during World War II because the two towers were such a distinctive landmark to orient planes. In the very, very back (which you can’t really see when the picture is this small) is the Olympic Plaza, where the 1972 Summer Olympics were held. It’s a beautiful city that has done a remarkable job of coming back after the destruction it experienced in World War II. On Wednesday the 14th, we took the train out to Füssen (about 2 hours), where we took a horse-drawn carriage up to Neuschwanstein castle. 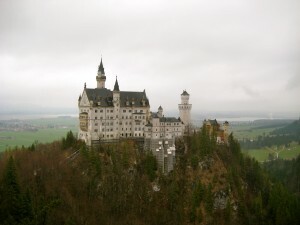 It was built by King Ludwig II in 1869, and was actually the castle that inspired the Disneyland/Disneyworld Castle. The building itself was gorgeous, but the surrounding scenery was arguably just as enjoyable… and totally worth the trek on a rainy German day. On Thursday, while the Eyjafjallajokull volcano was busy erupting, we took a much more serious trip to Dachau Concentration Camp Memorial Site, just outside of Munich. 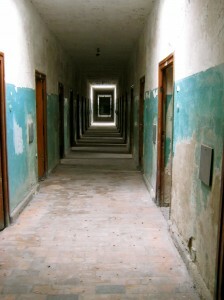 Dachau was the very first concentration camp to be opened by Hitler, and was one of the few that remained open during the entirety of World War II. This picture is in the bunker, which was where the “worst” of the prisoners were tortured, often until they died or committed suicide. The entire experience at Dachau was one that I cannot really put into words here. All I can say is that, to really experience this dark facet of our world’s history, you must experience a concentration camp on your own. I would encourage any person who is in Germany, Poland, or even France to take time to visit one. It’s not an easy or enjoyable activity, but I think it is necessary to pay homage to those people who died during World War II, and to understand why it is that we must work to prevent this same sort of behaviour in our modern world. On Thursday night, we took a night train from Munich to Paris. As I mentioned, the volcano had erupted during the day, so although Europe was not in a total state of chaos yet, people were starting to experience flight cancellations, so our train was definitely full. I can’t say that I slept very well on the train, but it’s still neat to say that I rode a night train through Europe! On our first night, we took advantage of the Louvre’s late opening hours (open until 10:00pm) and free entry for guests under 26-years-old! We were all tired from the not-so-great sleep on the train before, but you can’t pass up free entry to the Louvre on a Friday night! The sheer number of paintings in the museum was overwhelming, and so we really just hit the highlights… including the Mona Lisa (in the background of this pi! I also really enjoyed seeing some of the pieces that we have talked about in my History of Art class. What would a trip to Paris be without a picture of the Eiffel Tower? Here it is, at nighttime! 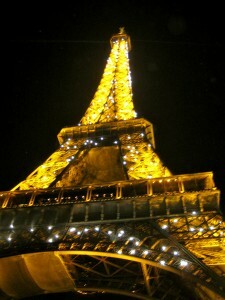 The tower “sparkles” at the top of every hour, and so this is a picture as we sat underneath it on Saturday evening. We were surrounded by people trying to sell cheap souvenirs, and the smell of overpriced snack food, but it was such a quintessentially Parisian moment! 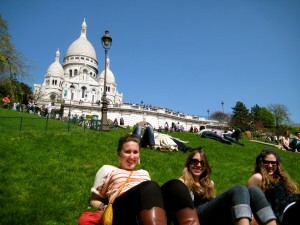 On our final day in Paris – and our final day on Spring Break – we got groceries to make a picnic in front of Basilique du Sacré-Cœur (in the Montmartre district). The cheese, bread, apples, and wine… plus the sunshine and people watching of Paris made for a perfectly relaxing last day. I was lucky enough to travel with three friends from Edinburgh who couldn’t have been better travel companions!! On Monday morning (April 19th), we got on the Eurostar from Paris to London, and then another train from London to Edinburgh. Because of the continued travel crisis, the trains were PACKED, but we were able to make it back to Edinburgh without any snafus. It was so good to return to a familiar city, my own bed, and the English language!